Nicole Zwiercan was awarded the title of Mrs. USA Universe 2018 in June. She hopes to inspire people all over the world to celebrate their triumphs, but also grow stronger from their trials. In December, she recently represented the USA at the Mrs. Universe pageant in Cebu, the Philippines coming home with a First Runner-Up finish, the title of “Most Photogenic," and the “Humanitarian Award” out of 88 women from all over the world. She has worked to inspire a more kind and inclusive world working with foundations such as Special Olympics, and The Center for Independence Through Conductive Education. Together with her family, she hopes to not only be a voice but a light for families that are navigating through the storms of diagnosis, and to show that it’s OK to have a different kind of perfect. After her daughter received a Cerebral Palsy diagnosis in March of 2018, her mission has never been more important to her. She truly believes that difficult roads lead to beautiful destinations. She is the author of the blog “It’s Simple. Be Kind” which to date, has had over 35,000 visitors from all over the world. She uses this blog to show that we can acknowledge the storms we undoubtedly encounter in life, but more importantly, we should choose to celebrate the rainbows. Most recently, Nicole was featured in the book “Beyond the Interview: A 52 Week Guide of Inspiration,” as one of the top interviews of the year from The Whitney Reynolds Show. She also was named one of Chicago’s “Most Inspiring People” by Voyage Chicago Magazine. She was humbled and honored to be included in both publications. 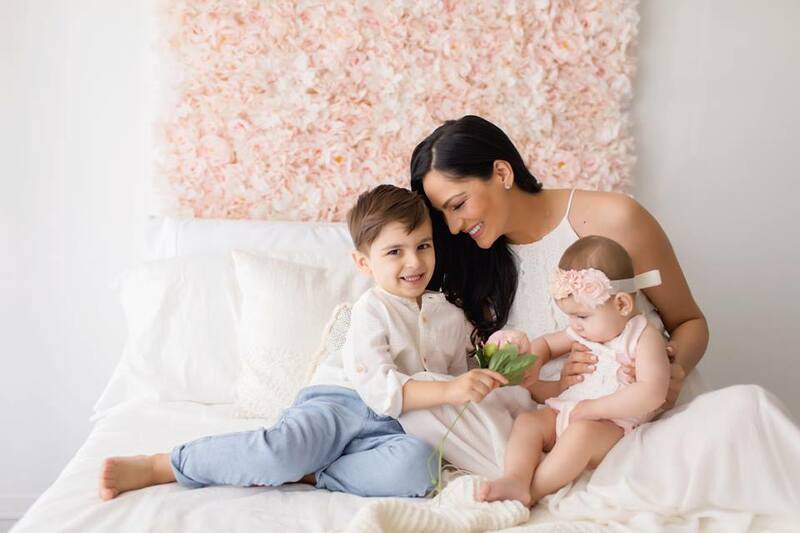 She is a native of Homer Glen, Illinois and currently lives in Chicago with her husband Dr. Christopher Zwiercan, their 4-year-old son Cristiano and 1-year-old daughter Ashlynn Grace. Holistic interviewed Nicole to find out how she is using her platform to lift her voice in the name of inclusion. I think those ideas go hand in hand. I think it’s important we support and inspire the idea of an all-embracing society. Whether you are talking about different cultures, races, physical and/or mental abilities. I think it’s natural, as human beings, to have a need to be included and accepted for who we are. I think it’s something we feel at a really young age — that desire. We all want to feel loved and understood. How important are the matters of diversity and inclusion to you? It matters tremendously to me. I think promoting inclusion has always been really important to me throughout my life, but now more so than ever. I am raising a daughter who will undoubtedly face many adversities throughout her life because of the fact she will be living with Cerebral Palsy. I want her to know that as a parent I am doing all I can to inspire the inclusion of diverse people; to bridge a gap of misunderstandings; to delegitimize stereotypes. And I strive to do this not just for people who live with disabilities, but for anyone who is different or feels different. I want to create a more understanding and empathetic culture. Sometimes we are so quick to judge or develop an idea of someone- oftentimes someone we have never even met. If I can make just one person stop and think before they act- then I will be creating a small ripple effect that will hopefully be contagious. What steps do you take to foster diversity and inclusion? Well for starters, I write about it. I write about our life living with Ashlynn’s CP diagnosis. On my personal blog, I share our story from the very beginning. I’m also really honest about it all: the hurt, the happiness- all of it. I feel that is really important, too. I’ve been using my year as Mrs. USA Universe to further promote my mission to inspire a more kind and inclusive world by inviting people in and taking a look for themselves, through social media, my writing, and by attending events that promote this platform. I bring my family to a lot of these events. I want people to see it’s ok to have a different kind of perfect. I also invite people to ask questions. It’s so important that we break down stereotypes and build up truths. The only way to do that is by communicating that. What challenges do you face when speaking about these matters? At times, I get really emotional. And that can be challenging when I’m trying to speak and get my point across to a room full of people. As with anything, sometimes Ashlynn’s diagnosis hits me harder on some days than others. For the most part, my husband and I have a really great outlook and way of handling all that we have going on. We see her as such a gift to us and to others. I believe she will change the world and the way we look at people, and families that live with motor difficulties and/or intellectual challenges. What are some of the accomplishments you've made by speaking of or by fostering diversity and inclusion? The first time I spoke about this particular platform was when I was competing for Mrs. USA last June. It definitely wasn’t perfect due to the emotional aspect of the presentation, but I went on to win that title and this year has been crazy ever since! In a really good way. Opportunities keep coming up and I try to make sure I never lose sight of my reason why, or what I’m setting out to accomplish. It’s been a really great journey so far and I will keep going where God leads us! Who inspires you to be diverse and inclusive? My daughter. My family. They are my reason why I do what I do — why I’m so passionate about inspiring change. What is your dream for the future of our society when it comes to these matters? That’s such a great question, [my dream is] that we can all see past our differences and just accept each other as is. It’s a pretty simple answer really. [I hope] That we try to understand different points of view and that we listen to each other with empathetic ears. [My dream is] that we are kind to each other. What would you like to see happen in other people around you that would motivate and inspire others to also be diverse and inclusive? I'd like for people to think about what it feels like to be included and understood. I want them to remember that time a complete stranger showed them kindness, and how great it made you feel. I'd like for parents to make teaching about kindness and inclusion a priority. Most importantly, I'd like to inspire people to show each other some grace. We are all just trying to get by the best way we can. I once saw a saying " Grace will take you places hustling cant," and it really stuck with me. I think having grace for each other, in every situation can change everything. Follow Nicole on her journey and mission to create an inclusive environment for all here.